Watch here to learn from a homeowner about his great building experience with Peachtree Residential. Mr. Malone and his family built a new home in Muirfield Park in Milton GA this year. He shares his experience and highly recommends Peachtree Residential as a builder. Stop by to see the gorgeous decorated model home and learn about available homes or pre-sale opportunities. If you have a few minutes click here to watch or listen! 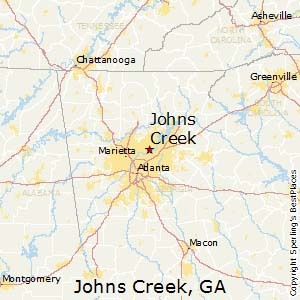 Johns Creek Named "No. 3 best place to live in the Country"
Peachtree Residential is excited to announce our newest community! Shakerag Manor is located in Johns Creek off of Rogers Circle, which has just been named the “No. 3 best place to live in the Country”! Our new estate homes range from $800’s – $1millon+. We have 10 estate lots which are selling quickly and only 7 remain. 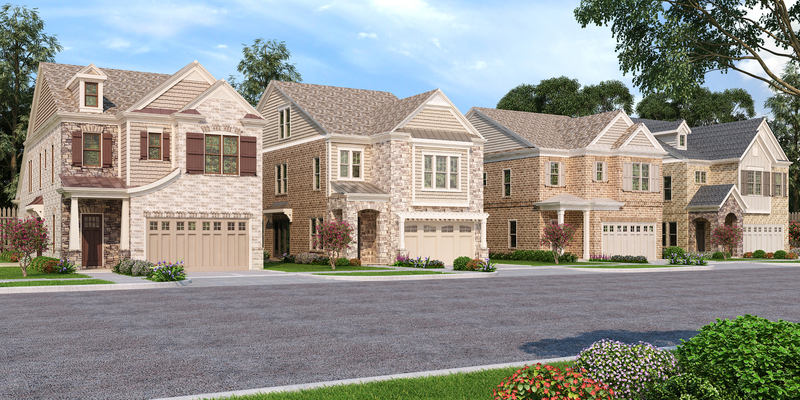 Set in a beautiful terrain with deep setbacks and wide spacing between homesites makes Shakerag Manor the perfect neighborhood for families in the best location! Check out our website for more details. Final new townhome building in Victoria Square under construction and only one new townhome remains! Don’t miss out on this incredible opportunity! Peachtree Residential’s gorgeous Victoria Square new townhome community is located in downtown Alpharetta and walking distance to so much! 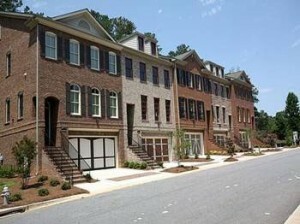 The final new homeowner will enjoy a charming downtown Alpharetta only 1.6 miles off GA 400! Nearby to the neighborhood is shopping, dining, Wills Park and nightlife opportunities such as Pure Taqueria. 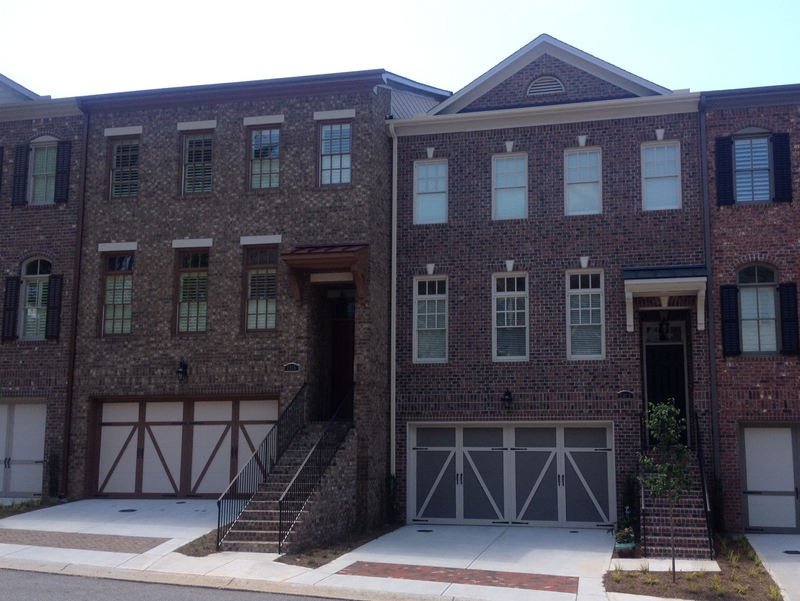 The final new brick townhome is 4 bedrooms, 3.5 baths and are approx 2950 square feet. The three level luxury townhouse in the heart of Alpharetta is the St James “B” open floorplan with a finished basement for a fourth bedroom or study. The $389,900 price includes a patio, fence, and a $15,000 design center allowance. 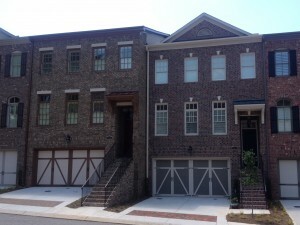 This new townhome in Alpharetta will be move-in ready in late December or early January. Victoria Square is Peachtree Residential’s gorgeous townhome community in downtown Alpharetta! Within walking distance of fantastic shopping, dining, and nightlife experiences of downtown Alpharetta, Victoria Square has one final building under way with only six opportunities! 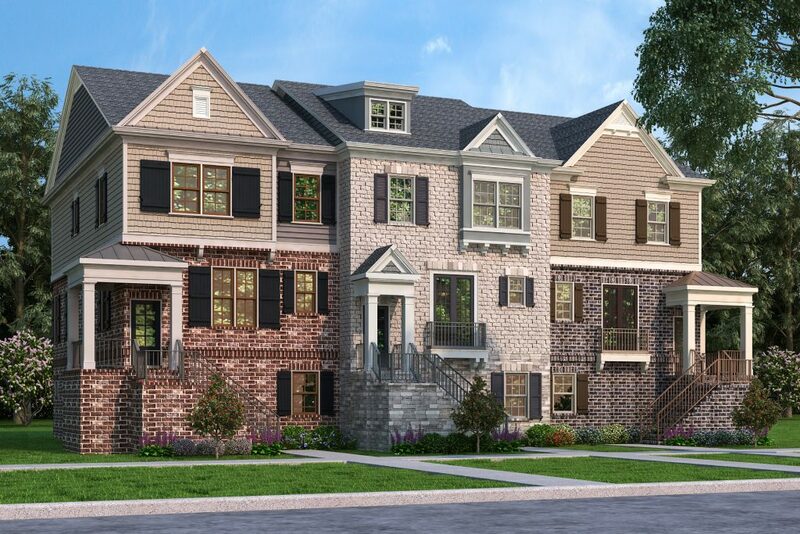 These beautiful new townhomes are now ready to be custom tailored to your needs and with the help of Peachtree Residential‘s Design Center, you will have your perfect townhome in a perfect location! This wonderful opportunity won’t last very long at Victoria Square and children would attend top schools including Cambridge High school! 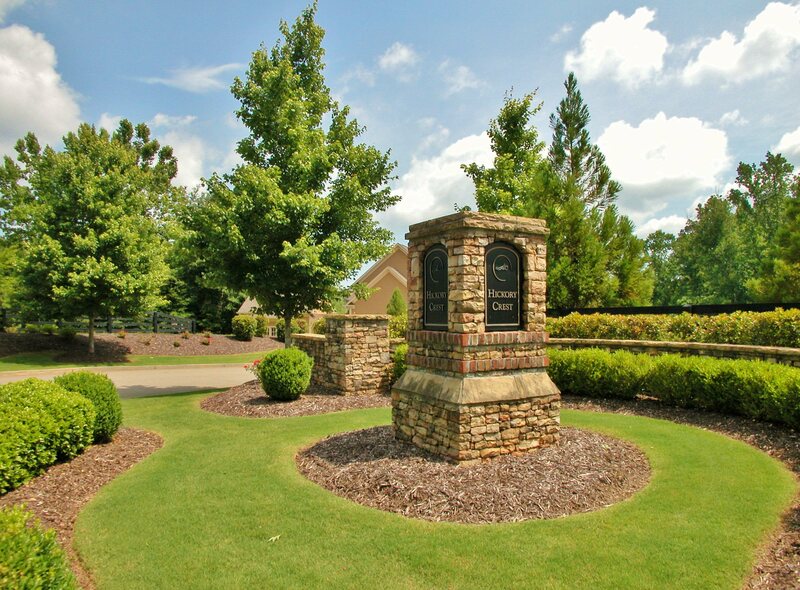 Sitting in the city of Milton, named the best overall city in Georgia, Hickory Crest is in a prime location with unmatched privacy! Each new home built by Peachtree Residential in this lovely community will sit on private, 1+ acre lots inside an already established community, and with only five homesites from the $700’s available, your time to build your new dream home is running out! Hickory Crest has access to the fantastic North Fulton public schools, including the beautiful Milton High School. It is also just a short drive away from some great shopping areas, restaurants, and golf courses like White Columns Golf Club. With the perfect blend of location, price, and privacy, you are guaranteed to love your new home in Hickory Crest! You can contact Peachtree Residential online, over the phone, or in office any time that is convenient to you! Also, check out the decorated model home Peachtree Residential has built in the Hampshires in Milton at 16350 Laconia Lane for an idea of what your brand new home may look like! Last Chance at a Victoria Square Townhome! Thinking about moving to a luxury new townhome, but wanting the ability to customize it to your personal liking? Peachtree Residential has one last chance for you! The final building is now being framed in Victoria Square and you still have time to personalize one of the six available townhomes to make it yours. Time to pick your interior selections! Priced from the $370’s, a new luxury townhome could be yours today! 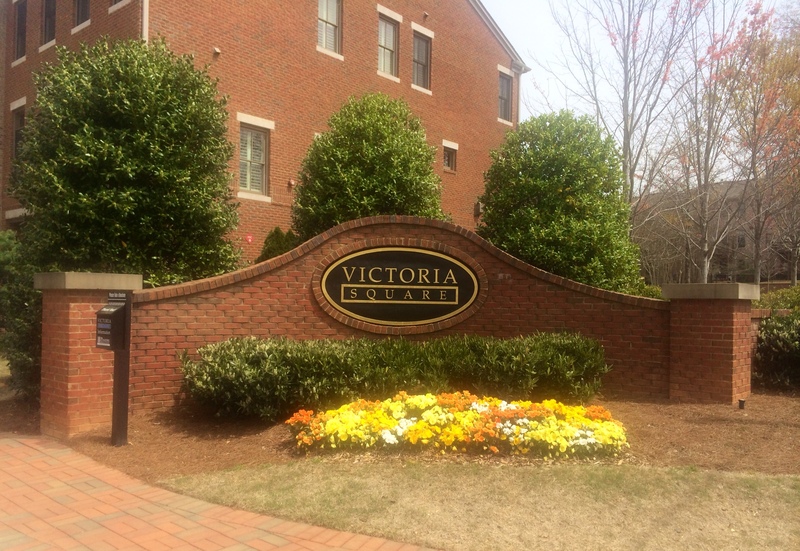 Victoria Square is in a prime location in the heart of downtown Alpharetta within walking distance of countless shops, quaint restaurants, and bustling nightlife spots. Being within just two miles of GA 400, you’re not going to find a better combination of luxury, affordability, and location anywhere else! Peachtree Residential has been building luxury homes in the North Atlanta area for 26 years now and your new townhome in Victoria Square will be no different. Don’t hesitate to contact us about this incredible opportunity or you might miss your chance!​ Last chance to live in this beautiful community! Summer is in full swing and The North Georgia Group has come up with some easy and helpful tips to keep your lawn looking green and healthy all summer long! Their first tip is to water your lawn as needed instead of watering it on a routine schedule. If your lawn receives enough water by rainfall in a week (about an inch), there is no need for you to waste your money watering your yard. Also, you can use common household items like a ruler or screwdriver to determine when your lawn needs to be cut, how much needs to be cut and when your lawn needs to be watered. Finally, a well running lawn mower can be the difference between a healthy and an unhealthy lawn. Keeping your lawn mower fresh by changing the oil and doing routine maintenance each year is an inexpensive and simple way to keep your yard looking fresh and well kept all summer! To view the full list of tips and explanations see the full article here. 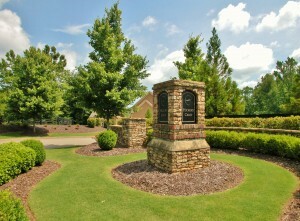 Visit www.Peachtree Residential.com for more information on new homes that are ready to close and can be “your yard” soon! All new home neighborhoods are in great locations in superior school districts! Visit us today!